Every once in a while, I'll hear something in a homily or on Catholic radio that sparks a question. As I'm not an authority on Catholic theology, but I'd like to explore these topics a bit, so I've created the series "Geeky Catholic Questions." 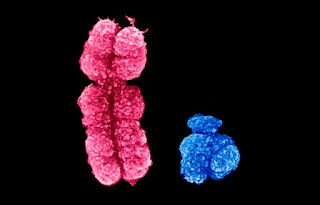 Today's question: Where did Jesus get his Y chromosome?